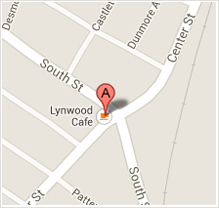 Opened in 1949 as a neighborhood bar the Lynwood Cafe' started making bar style pizza. Over the years the Lynwood Cafe' and its employees have prided themselves in providing quality food and exceptional service at family friendly prices. As with any great family recipe we only use the best quality fresh ingredients used with care to make an authentic Lynwood style pizza.